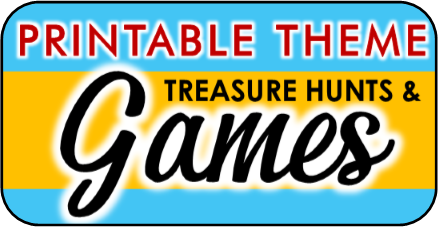 This printable treasure hunt game was created for children 3-5. 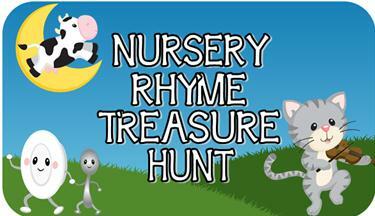 It incorporates all of their favorite Mother Goose Nursery rhymes in a fun indoor treasure hunt game. All you have to do is print out the clues from our ready-to-print PDF file. 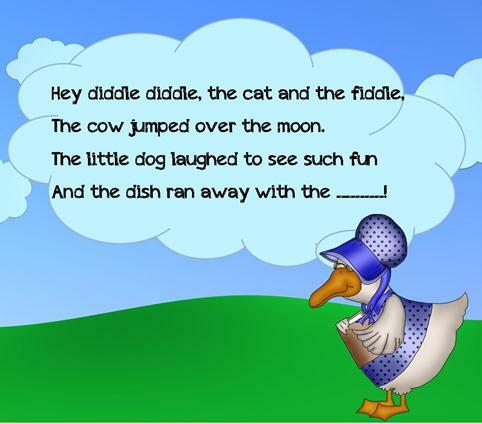 The clues all visually appealing for young children and they each feature a nursery rhyme with a missing word. The children fill in the missing word to discover where to search for the next clue! All the clues are hidden among normal household items and places so there is no need to purchase special props. The answer to the clue is "SPOON". The children would then go look where the spoons are kept. This is where they will find the next clue. They continue following the clues until they complete all 10 clues and discover the hidden treasure. You can decide what you would like to use for a treasure. 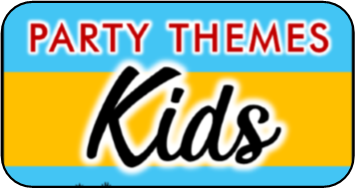 Ideas include goodie bags, a fun pull string piñata, or even use the cake and ice cream as the grand finale. Purchase now to receive instant access to a link that will allow you to download this PDF file with all the game clues included, plus a hiding guide to make the game simple and fast to set up.